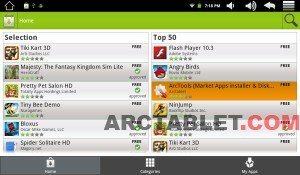 This custom firmware is based on Arnova’s latest official where we have added Google Play / Android Market and root. With our Kasty EZ firmware, to get you a working Android Market and root on your Arnova 7 G2 Tablet in less than 10 minutes just from your tablet, without any drivers or computer needed. 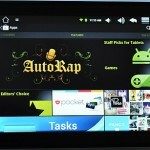 Run Appslib that can be found in the applications on your tablet. While in Appslib, search for “Arctools” application, you should get “ArcTools – Google Play / Android Market & Apps installer” in the list, download, install and run the application. Read the disclaimer in the application and press the checkbox if you agree with the conditions, then press the Download button. It should take about two minutes to complete the new firmware download. Restart the tablet when the program is inviting you to. 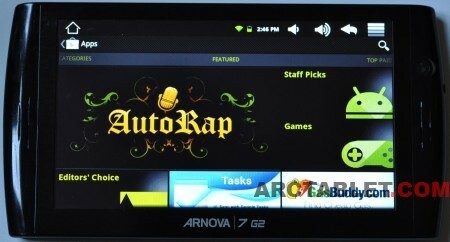 This firmware is specific to the Arnova 7 G2 (capacitive model only) and should not be installed on other devices. After the device has restarted following the firmware flash, follow the Arnova wizard to configure the tablet again, then setup the WIFI. In case the Android Market offers very few applications and a lot of them are missing, you can use the Market fix procedure, then restart the Market application. This step is optional if no application are missing in the Market. 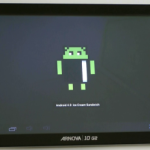 You will find the 4 easy steps of the installation procedure in the following video (here on an Arnova 7b G2 DT), see how to get Android Market and root in less than 10 minutes. Root access on the tablet is limited in the sense the system is still read only (CRAMFS), so you won’t be able to make changes in the system files. 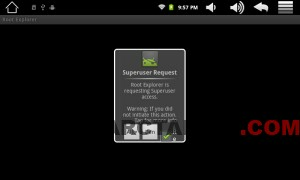 Here is Root Explorer application, requesting SuperUser access. Added Bluetooth support for GPS on selected hardware, see our Bluetooth GPS article, thanks fenice57 for the BT kernel modules. This firmware is based on a dump from latest Arnova firmware, where we have pre-installed root access (if you need it) and Android Market. Being a very standard firmware, it has a limitation of offering about 200 Mb free for your Android applications to install. Most applications are using just a few megabytes, so that should let you install dozens of them. 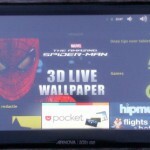 Please use our Arnova 7 G2 forum to discuss about this firmware.